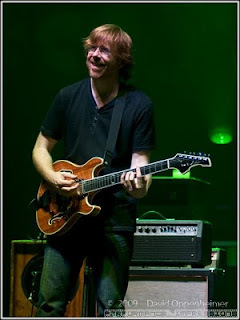 Trey hits the road in February for a month-long tour with Classic TAB, beginning with a special benefit show at the Jefferson Theatre in Charlottesville, VA on February 8th. The date marks what would have been the 47th birthday of Trey's sister, Kristine, an esteemed environmentalist and author who died of neuroendocrine cancer last April. Proceeds from the show will go to the Kristine Anastasio Manning Memorial Fund. 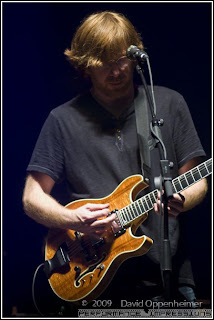 Trey and Classic TAB features the same lineup from last fall, with the addition of horns back into the mix. Russell Remington (tenor saxophone and flute) and Jen Hartswick (trumpet and vocals) once again join Russ Lawton (drums), Tony Markellis (bass) and Ray Paczkowski (keyboards). New to the group is Natalie Cressman on trombone and vocals. The band is currently rehearsing, adapting arrangements and working on several brand new compositions. Tickets will go on sale to the public beginning Thursday, January 14th at 10:00am ET. 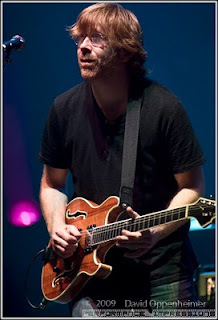 For complete ticketing information, visit Trey.com.